Object: Construction of game-based learning tools for the creation of Knowledge Communities in the educational and professional fields. These innovative tools will customized to SMEs allowing their employees to acquire and strengthen specialized and transversal I4.0 skills and better integrate their job into the I4.0 industrial environment. 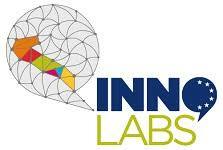 Client profile and Activieties: The C-LAB 4.0 target is every Apulian SME with a low-medium digitization level. Starting from its Consortium SME Partners, MEDISDIH will test C-LAB 4.0 developed prototype tools supporting the integration of e-learning and e-teaching games in their corporate training processes. The client needs are to avail of decision-making learning systems based on the Just in Time Knowledge Management approach which allows the best assimilation and, therefore, the most effective job placement or professional updates for employees. The project involves a strong network relationship between enterprises (SMEs and Large Firm), research laboratory and organizations, MEDISDIH and Apulian End Users, for developing a technological prototype of game-simulation to meet client needs. This technological prototype is an innovative and multimedia way of education and professional training on the topics of Industry 4.0 and is able to feed the most important processes of the Creative and Digital Industry 4.0 economy. Object: feasibility study for the creation of a management, analysis, control and monitoring system of the data produced by all the automated warehouses installed by the company. The enterprise aim is to offer proactive and predictive services with high added value. Client profile: the Use Case was conducted for ICAM Srl, an Apulian logistics SME. MEDISDIH profiled corporate targets, problems and expected benefits for the develop of an implementation solution to company needs. In this Use Case MEDISDIH has conducted an assessment of investment times, costs, possible funding sources and Return Of Investment (ROI). Client profile: the Use Case was conducted for INNOVA D&P Srl, an Apulian SME. MEDISDIH profiled corporate targets, problems and expected benefits for the develop of an implementation solution to company needs. In this Use Case MEDISDIH has conducted an assessment of investment times, costs, possible funding sources and Return Of Investment (ROI). Object: feasibility study for the establishment of an Apulian Digital Innovation Hub on the territory. 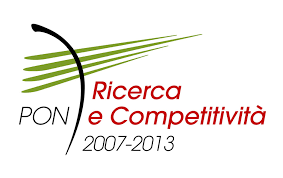 Activity: in 2016 April, MEDISDIH was involved by Confindustria Bari BAT in the “APULIA CPS/IOT HUB FOR REGIONAL DIGITAL MANUFACTURING SMES – APULIA MANUFACTURING RDMI HUB – for the establishment of a feasibility study for a Regional Digital Manufacturing Innovation (RDMI) Hub” Project, funded by European Commision (I4MS-ICT Innovation for manufacturing SMEs H2020 initiative). The project follow-up has been the integration of the Apulian DIH into the pre-existing Mechatronic Technological Cluster structure. Object: Advanced qualification of 12 researchers (graduate) and 8 technicians (undergraduate) specialised in Engineering, developing and testing of signal processing and intelligent diagnosis systems for biomedical applications. MEDISDIH conceived and coordinated the highest level training project (integrated with the R&D Project). Client profile and Activieties: MASSIME activities performed by MEDIS, now MEDISDIH, were focused on the client profile of one local Large Enterprise, MERMEC S.p.A., and three local SMEs, Blackshape S.p.A., MASMEC S.p.A. and Itel Telecomunicazioni S.r.l. active in the railways, aerospace and robotics fields. All the above mentioned companies are already implementing Digital Technologies in their operational structures and are seeking support from MEDISDIH in accessing specific highly innovative digital technologies to be integrated in their new generation of products. The main Clients needs in the frame of MASSIME activities were to develop wired and wireless, innovative mechatronic and digital safety systems, formed by a combination of sensors and microelectronic technologies and supported by a suitable software infrastructures, for railways, aerospace and robotics applications. Object: Advanced qualification of 10 researchers (graduate students) and 10 technicians (undergraduate students) specialized in Engineering and testing of innovative mechatronic safety systems for railway, aerospace and robotic applications. MEDISDIH conceived and coordinated the highest level training project (integrated with the R&D Project). Object: Advanced technologies for reduction of polluting emissions, fuel consumption and operating costs of Heavy Duty engines. Client profile and Activieties: the activities were mainly structured on the profiles of CRF ScpA, FPT-Industrial SpA and MERMEC SpA, large companies operating in the powertrain and railway sectors. MEDIS, now MEDISDIH, has supported the project partners in accessing specific highly innovative mechatronic and digital technologies to be integrated into new generations of products. Object: Advanced qualification of 8 researchers (graduate students) for the development, design and testing of innovative mechatronic components in the powertrain applications. MEDISDIH conceived and coordinated the highest level training project (integrated with the R&D Project). Object: Advanced qualification of 8 researchers (graduate students) and 12 technicians (undergraduate students) for the development, design and testing of innovative mechatronic components in the automotive and manufacturing facility applications. MEDISDIH conceived and coordinated the highest level training project (integrated with the R&D Project).